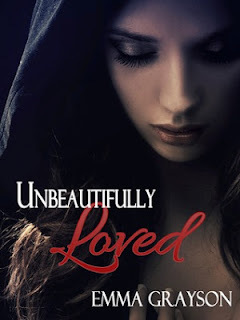 Bookittyblog YA Book Reviews: Unbeautifully Loved by Emma Grayson Blog Tour and Giveaway! Unbeautifully Loved by Emma Grayson Blog Tour and Giveaway! thx u emma....UNBEAUTIFULLY LOVED is sounds a great book !! is this INT giveaway ??? A tough issue to write about. THanks for sharing with us. I saw this book the other day and thought it sounded good. I added it to goodreads then. Abuse is a tough issue to deal and running from it is hard. I hope I can read it soon. Unbeautifully Loved sounds like a great read Emma! It is on my TBR ~ Glad I found you through Guilty Pleasures Book Reviews. It's such an unusual title. We don't hear the word "unbeautifully" too often.